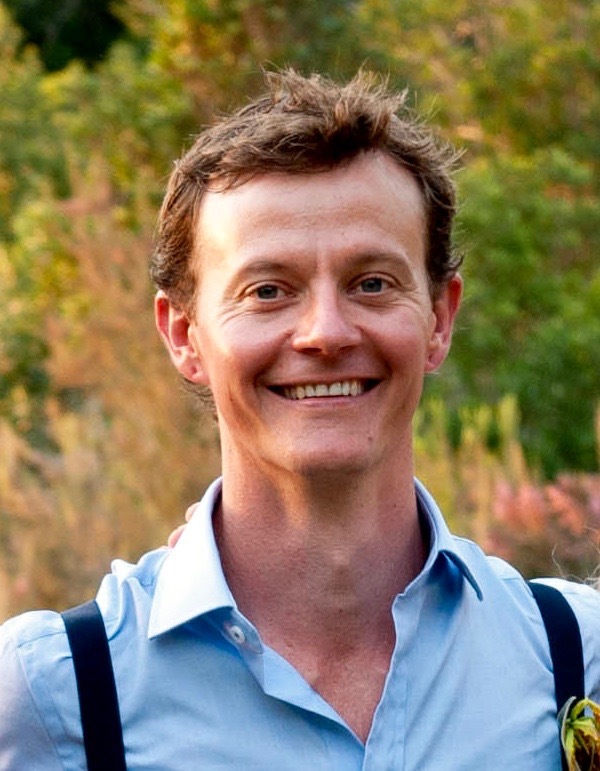 Mate, the only thing more Aussie than the Deni Ute Muster is a wallaby playing the didgeridoo and take it from this expat, wallabies don’t play didgeridoos so ipso facto there’s nothing more Aussie than the Deni Ute Muster! The country town of Deniliquin in outback New South Wales, Australia, owes so much to the humble ute, a.k.a utility vehicle or pick-up truck, that they’ve dedicated an entire music festival to these quintessentially Aussie workhorses. This sprawling expanse of sun-baked country breeds a hardy people who pride themselves on good old fashioned values, so expect Desperate Dan worthy sausage sizzles, heartfelt country and blues music and quite literally a muster of thousands of utes chugging away like plough oxen under the endless blue Deni sky. “That’s A You Beaut' Ute”. In Deni and the surrounding Riverina Plains region, the greatest compliment one fella can offer to another fella is, “that’s a you beaut’ ute”, which translates to “your utility vehicle is beautiful, in a masculine way you understand”. At the Deni Ute Muster, however, the iconic diamond bumper sticker says more than a thousand blokey words. 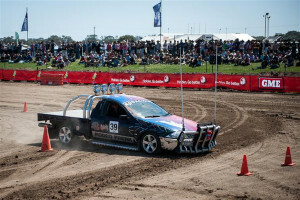 The diamond stickers have been handed out to festival-goers- strictly ute drivers- since the festival began nearly 20 years ago and die-hard Deni Ute Muster-ers roll up each year proud as punch with their tailgate emblazoned with the famed Deni Diamond. 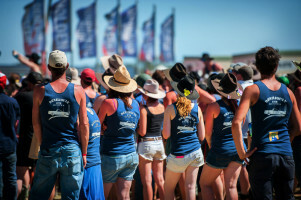 Deni Ute Muster truck expo and music festival in outback New South Wales, Australia. 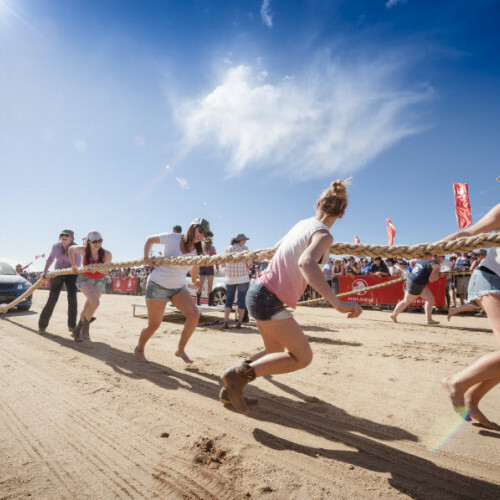 An iconic Aussie festival in an iconic Aussie town dedicated to an Aussie icon- the ute.